Hahahahahaha I laughed until I can't breathe properly when I first saw the Chinese word on the poster. 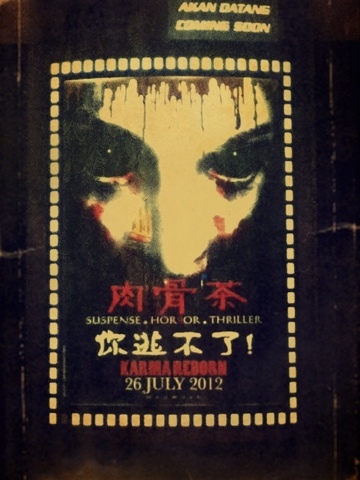 Gonna watch this - Karma Reborn later. Saw some say is quite good? Let's see if it really is.